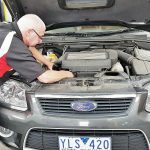 Hogan Automotive is a local auto repair centre providing top of the range automotive services to vehicle owners across Heidelberg, Heidelberg West, Bundoora, Watsonia, Rosanna & Ivanhoe. With all of the latest diagnostic equipment and experienced automotive experts, we can deliver superior service for your vehicle. From scheduled maintenance to complex engine overhauls, our mechanics are sure to provide you with a first-rate service. Our team of qualified mechanics is fully trained to the industry standards and has hands-on experience to assist with all of your car repair needs. We can work on vehicles of all makes and models ensuring that your vehicle is restored to the manufacturer’s specifications. Our mechanics go that extra mile to deliver a service that is second to none, guaranteeing 100% satisfaction every time. No job is too big or small for us, we will fix the problem and get you back on the road quickly. At Hogan Automotive, you are promised a great service at competitive prices. 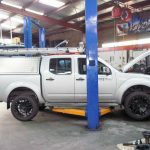 Our expert team is able to diagnose any problem on your vehicle and provide a quick solution whilst adhering to strict industry guidelines. All our automotive services are carried out to the highest standards with the best interest of our customers in mind. If you are looking for an automotive repair shop that can treat you and your car well, then look no further than Hogan Automotive. We will evaluate your needs and make car repair more convenient and easier for you. Repairs are carried out only using high-quality parts that allow you to get better performance from your vehicle. For more details on our service or to schedule an appointment, call 03 9459 5331. We specialize in All makes and models, Fleet servicing and repairs, Major and minor servicing. 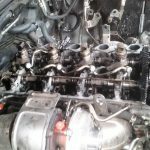 We specialize in Major and minor servicing and repairs, Petrol and diesel system repairs. We specialize in Fleet Maintance and QAM school bus maintance in our large well-equipped workshop. We specialize in major and minor repairs, fuel system repairs, Engine light scanning and testing. Expertise in Brake and clutch repairs and replacements, All makes and models, Car trucks and 4 wheel drives. 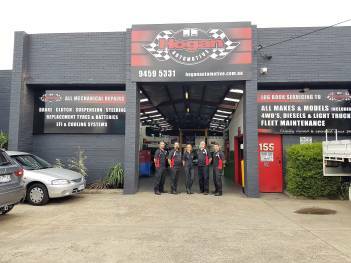 HOGAN AUTOMOTIVE is a small mechanical repair business, which has been operating in the Heidelberg area since 1986. 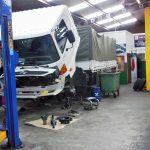 We carry out major and minor repairs and servicing to all makes and models of cars and trucks, specializing in repairs and servicing of light diesel trucks. We specialize in Fleet Maintenance and QAM school bus maintenance in our large well-equipped workshop. Our professional staff with over 60 years experience in the motor industry are devoted to offering a personal and quality service to our customers and their cars. We also offer pickup and delivery in our local area. Hogan Automotive uses quality well known and trusted brands. So that you can have a piece of mind that your vehicle is in good hands and well cared for. Every time I have been to Hogan Automotive Mick and the team have been honest, up front about any issues, and more than happy to explain everything. 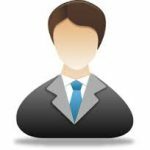 I am very satisfied with the service they provide and will be continuing to use their services in the future. Mick and his team at Hogan Automotive run a quality business that is friendly, attentive, honest, reliable, experienced and fair - It's not often you can find a mechanic that ticks all the boxes! Very accommodating with emergency repairs too. Mick will ensure we're always kept well informed through our vehicle's repair or service. Thanks to Mick and the boys at Hogan for there can do attitude and always putting me at ease with my car my wife and son's car. They have been looking after us for five years now and always looked after us with costs. Keep up the good work guys. Mick and the team saved me thousands with some free advice on my Ford Territory. I've since taken my other car in for a new clutch system. It's great to finally have a mechanic I can trust - you can't put a price on that! I was so impressed by the service and value offered by Mick and his team. I can't recommend him more highly. Mick and his team have been our mechanics for years and they are superb. Great service, very reasonable prices and tonnes of experience. Come to the best. Forget the rest. Over 30 years of service on my cars. Friendly, effective and always accommodating. Highly recommended. Mick has looked after our fleet vehicles for a long time. Very honest person to deal with. 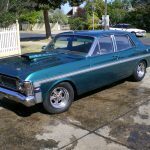 We highly recommend hogan Automotive for service and price and ultimately a great job. Great work at very fair prices! Mick is a great bloke to deal with, too. I highly recommend Hogan Automotive! We have trusted Hogan Automotive to carry out the servicing of our small fleet for almost 20 years. They have proved, time and again, to be faithful partners in keeping our vehicles safe operating efficiently. We have trusted Hogan Automotive to carry out the servicing of our small fleet for almost 20 years. They have proved, time and again, to be faithful partners in keeping our vehicles safe operating efficiently. Highly recommended. © Copyright 2016 HOGAN Automotive | All Rights Reserved. Website Design, SEO Services by Verve Innovation - SEO Company Melbourne.